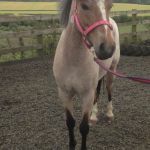 We are pleased to introduce our new group pony, Rosie. She has been purchased with a very generous donation made to the Nottingham RDA Group. 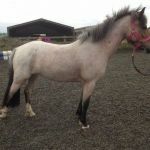 Rosie is a 5 year old bay roan, and as well as being trained for our disabled children, she will be used by Lings Lane Riding School to enable her to reach her full potential.